Augmented Reality, or AR. It’s just like it sounds: a bit “techy”. It can scare you a little bit as times changes rapidely. As a teacher, you have to learn how to handle new things and tools every year, and it’s not going to stop. Who knows what “next big thing” is going to take over education next year? Let’s just say that augmented reality in education is becoming more and more present, whether you like it or not. You better learn about it and realize the change AR may bring to your classroom or lessons. In this blog post, I’ll show you some astonishing augmented reality apps for education. I’ll also give you some lesson ideas with augmented reality, so you can get started right away. Augmented reality or AR is a visual and sometimes interactive experience in a real-world environment where the objects in the real-world are “augmented” by computer-generated perceptual information. These virtual enhancements in the real world can appear as something visual and auditory. These 10 augmented reality apps for teachers are easy to use. 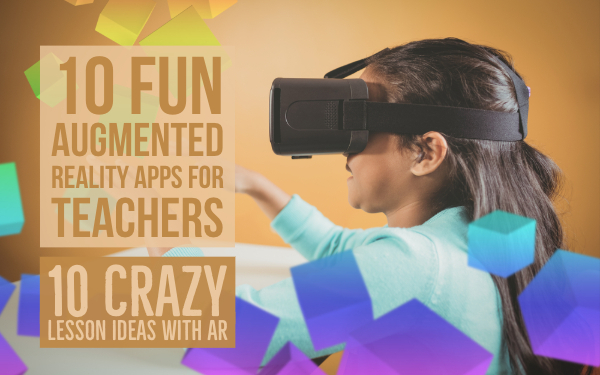 I’ve chosen free augmented reality apps for in the classroom, as well as augmented reality apps that you have to pay for. 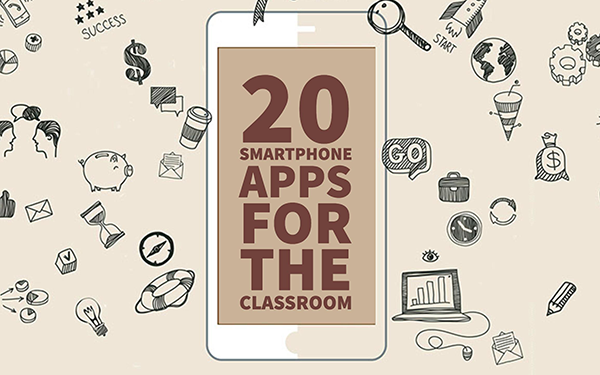 I included these AR apps in the list because they are the perfect fit for your classroom. Don’t forget to check out the augmented reality lesson ideas I give you below! The idea of HP Reveal (previously “Aurasma”) is simple: you make any image (a photo, graphics, text document, …) scannable with a smartphone or tablet (iOS or Android), and associate an action to take when the image is scanned. An action can be: display a movie, show an extra explanation, refer to a website, etc. This way, you enrich simple paper posters, images, QR-codes, and many more for people who use the Reveal app to look at them. This app is a content creation app for students. With CoSpaces, students can build their own 3D objects and animate them with code. Students can explore any creations with the VR and AR view modes. The app enables students to project their virtual creations onto any surface in the real world in AR. You can even hold the creations in your hands with the MERGE Cube. Wonderscope is a storytelling app that uses augmented reality to transform ordinary places into realtime stories. Students also learn to read with the app. They ask questions to the characters in the story and listen to the characters' answers. Use this AR app for math, or more specifically, to teach geometry. Create prisms, pyramids, solids of revolution and Platonic solids. Start easy with simple figures and gradually explore the most complex ones. This AR tool wants to enhance the teacher’s capabilities and provide possibilities to show things that cannot be shown with physical tools or whithin the classroom. Google Expeditions offers a mix between AR and VR and allows a teacher to guide students through 360° scenes and 3D objects, pointing out interesting sites and artifacts along the way. They have lots of augmented reality courses. Download the free app “Expeditions” and let your students explore history, science, arts, and the natural world. This augmented reality app is available for IOS and Android. With the Metaverse app, students can play mobile games in augmented reality, go geocaching have location-based experiences, make puzzles, choose their own adventure and go on scavenger hunts. With the Metaverse studio, you can create your own interactive stories and breakout games for your students. Get a free account and discover how amazing this app is! Believe it or not, but almost every snapchat filter is based on AR technology. You can place filters over pictures and make them stand out. Students can also make their own augmented reality filters. Yes, you’re reading it right. Google Translate has some AR features as well. Download the app and use it to translate words on objects. All you need to do is point the device towards an object that displays a word and you’ll get a real-time translation. AR Makr is a creative toolbox for augmented reality. With this app, students can sketch, scan, and snap the environment around them. Let them transform creations from 2D to 3D virtual objects. When you’ve created a 3D AR object, you can place your creations anywhere in your environment. Students can also record, save, and share scenes with their teacher. Using augmented reality in the classroom can be a real game changer. You’ll see that students will find this an exciting experience and will be more motivated to learn with augmented reality. Students can simply record a video of themselves explaining the book. You can make different videos per chapter or just one long video. If you have creative students, first let them make drawings that say something about each chapter. Then record a video to explain the drawings. So now what? Well, students can open the HP Reveal app. All they have to do is scan the cover of the book or the drawings of each chapter. Now they can attach their self made videos - explaining the book or chapter - to the book cover or the chapter drawings. That’s it! Now students can get their phone or iPad, walk through the classroom, and scan everything with the HP Reveal app. They’ll see the videos open and discover what the book is about. Fun and easy! Do you have a free wall somewhere in a school hallway? Cover it with headshots of all the teachers in your school. Then, let them make videos of themselves where the answer a big educational question or where they introduce themselves. Now, use HP Reveal to cover the real pictures with the virtual video’s. On the first day of school and on open days, students and their parents can scan the pictures. 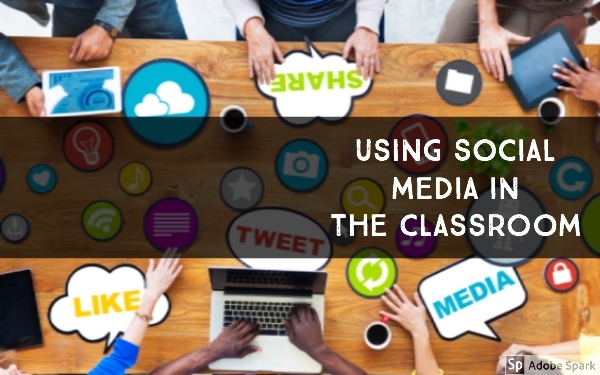 You can do the same, but with images of your school’s courses. Ask your teachers and their students to make a video of what they are learning during this course. Then add it as a “layer” on the image of the course. This way, new students and parents know what this school has to offer in a fun way! Use the free virtual reality app “Expeditions” to discover new things. Discover all the expeditions or take part in one that has been set up by a guide. Take your students, for example, to ancient Egypt to teach them about the Nile river, the rulers of Egypt, the Egyptian religion, the pyramids and the tombs. You can’t go back in time in real life, but you can in a virtual reality. Let students rebuild an object using the Shapes 3D augmented reality app. Take for example a little toy car. What shapes can be used to rebuild it? It will help them develop a better spatial awareness. Use AR Makr to add some augmented reality effects to books. As a teacher you can create them yourself. These could be video’s or just “floating” questions you can ask your students. When your students go through the book, they scan the pages and see the questions about the book they have to answer. It’s a fun way to use AR for reading comprehension. Here’s an example. Use Metaverse to create your own escape room or breakout game. You can add augmented reality characters that ask questions about your lesson material. Students have to find clues and codes to go to the next character or questions. You can really create an interactive story here! You can also let your students create an augmented reality tour through the school for future students and their parents. That way, they get to know the school in an interactive and creative way, and students get to work on a huge project. There are a lot of important people that achieved great things. Ask your students to make a snapchat filter about the person. For example, let them create an Einstein filter and add important things that represent him or his work. Let your students watch the stories within the Wonderscope app mentioned above. You can assign it in the classroom or as homework. Then, ask questions about a story to see if your students understood it. I think students are going to love doing homework! How cool would it be if your students could create a New Year’s Letter and share their best wishes with their loved ones through an augmented reality video or a photospecial of themselves? You can use the app Layar for this. You can make something really memorable, a letter nobody will forget. Students have to learn to carry on daily life in a foreign country with a foreign language. That’s not always easy. When you’re on a classroom trip in a restaurant, let your student use the Google Translate app and translate the menu. They will learn a lot of new words and recognize words they have already learned. That’s it! I hope you now have enough augmented reality projects to work on with your students. 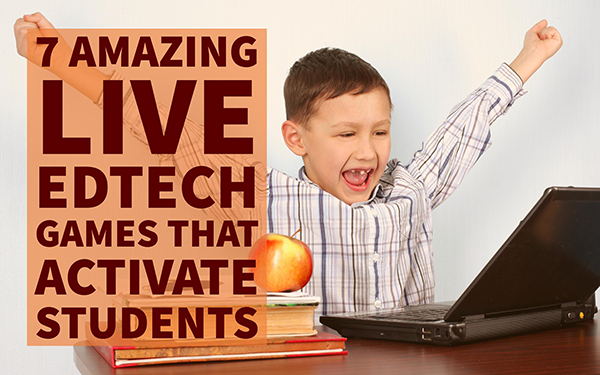 With a little bit creativity, you can make amazing things and prepare students for the future. Share this post with other future minded teachers. Thanks!